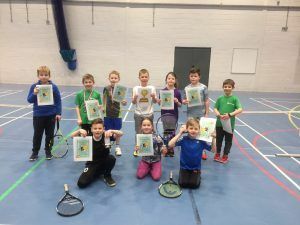 Young tennis players in and around the Workington are proving that they are stiff competition thanks to £2,510 from Workington (Ashfield) Lawn Tennis Club Fund. Tenniswise, set up by tennis coach and referee, David Wise, offers coaching and services to clubs and schools around West Cumbria, giving youngsters the chance to improve their health and wellbeing through tennis. The grant has given local children the chance to access regular tennis coaching that is low cost and on their doorstep, ensuring youngsters have access to the sport. 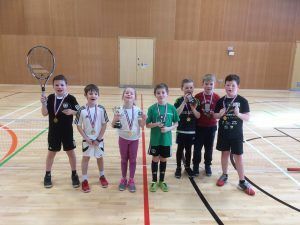 The weekly sessions, which take place at St Joseph’s Catholic High School in Workington, cater for 6 to 16-year olds who want to compete, meet more people and enjoy social tennis. Funding provided 30 weeks of tennis coaching, which was attended by 50 youngsters. One volunteer also gained his Level 2 coaching award, one is undertaking a BTEC sports coaching course at the local college and another volunteered as part of his Duke of Edinburgh Bronze award. After a year of training, a group of under 8s took part in the Mini Red Tennis Tour, a series of winter events run by Tenniswise. They competed in several legs of the tournament, taking on players from other parts of the county and local girl Mia Johnston was a winner of the first leg. The grant has also encouraged the development of players up to the age of 16 and inspired the older juniors to become volunteer as mentors and umpires. David Wise said: “We have been able to continue to develop the tennis skills and health of these youngsters and we’ve also seen new friendships form.